Prosopagnosia is the inability to recognize faces. Also known as “Face blindness.” There are varying degrees. Some people can’t even recognize their immediate family’s faces. Other people have a more mild case where it’s hard to recognize people that they see infrequently, or follow a movie plot when actors are dressed similarly. I’ve been working on overcoming prosopagnosia for about the last decade. Officially, there’s no “cure.” But, we know that the brain can change. I also had speech difficulties as a child, and I overcame that, so why couldn’t I overcome prosopagnosia? They say it’s a brain abnormality; I say it’s a unique challenge to overcome. Self-knowledge is the first step. If you’d like to find out if you have it, there is the The 20 – Item Prosopagnosia Index you can use to self-diagnose yourself. It’s surprising to me that I didn’t realize that I had this condition until I was 20 years old. I think it’s simply that I didn’t realize that my brain differed from anyone else’s. I realized that I had trouble “remembering names” but I didn’t know that’s because I wasn’t recognizing faces. One time where face blindness really interfered with my life was when I was in college and I needed a part-time job. I got a job at a bagel shop. I had no problem taking orders and serving up bagels, but I could not remember who ordered what during the busy morning crowd. I got the order ready, but didn’t have their name, and didn’t recognize their face. If I had known this was going to be an issue, I could have asked for their name, or gave them an order number. But I just didn’t know myself well enough to prepare for the situation. There was an angry customer and I was fired… They probably thought that I was just dumb. Nope. I’m not dumb, just face blind. There’s been more press on prosopagnosia in recent years. It possibly effects 2% of the population and Brad Pitt has it. There is also a recent Reddit discussion on that. If you can’t remember their whole face, can you remember a feature about them? Most of us with this condition seem to rely on hair color and style, body shape and size, the sound of their voice, or other non-face related clues. One coping strategy is to simply get better at remembering these non-face details. Or, you might be able to remember one part of their face, like a huge nose or really cute eyes! When I learned that I had this condition, I thought, why can’t I change it? I have some ideas for how to go about PRACTICING face recognition. These seem to have helped me over the years, but no guarantees. Exercise: When someone talks to you, look at their face FIRST. When you meet a new person, look closely at their face. Try to pick out a couple of unique features. I’ve found that by default I wasn’t doing this. 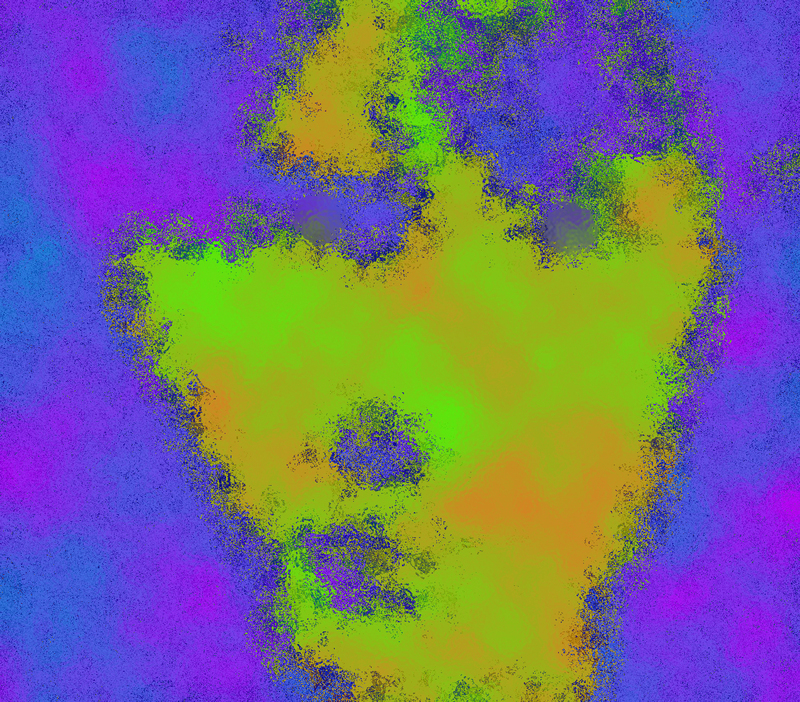 My brain was ignoring people’s faces, and instead spending time parsing what they were saying. I guess since my brain doesn’t seem to have a processing center for faces, it just was ignoring that information. Although it’s called “face BLINDness”, we are not actually blind. We can see faces just like everyone else. Sure, we may have a terrible time recognizing faces, but the information is still getting to our retinas at the back of our eyes. This is similar to someone being bad at math. Just because they don’t understand an equation doesn’t mean that they can’t read it. What would happen to me is that someone would ask me a question, and my brain would spend time immediately thinking about that question, rather than first looking at their face and trying to remember a bit about the person asking the question. Exercise: Compare and discuss faces. Start purposefully looking at a lot of faces and comparing them. Discuss with a friend which faces appear similar or different and why. At first you may find that “all faces look similar” but with practice, you will likely start to see more differences. This can be done looking at people in real life (go to a popular destination and “people watch”). But also looking at faces on TV or in photos can be helpful too. The idea here is that deliberate, repeated examination may help the brain change. Exercise: Look at how a person’s face changes over time. I’ve learned a lot by looking at photos of a person throughout their life. For example, a baby photo, photo at 5 years old, at 10 years old, at 15 years old, 20 years old, 30 years old, etc….. This is for teaching the brain about how a face stays the same and changes over the years. You can observe how faces change over time. The hard thing about faces is that they do change… I think this exercise can help your brain to see what stays the same (look at the eyes!) and what changes over time. Exercise: Look at Family Photo Albums with a Helpful Friend. For this one, you need a friend or family member who isn’t face blind and can give you a guided tour of a family photo album. Photo albums are a great way to practice, as there’s usually lots of similar faces. Being face blind, you might not see the familiar similarities. This is an opportunity to ask your friend to point them out, so that you can learn to recognize them. Exercise: Try to immediately visualize faces. People with prosopagnosia usually have trouble visualizing faces. Faces often appear blank in memories and dreams. I recommend deliberate practice of looking at a face and then immediately closing your eyes and trying to picture it in your mind’s eye. At first, the face might still be blank. But, with repeated practice, you might start to see some of it. So, mainly I recommend lots of deliberate practice, because you need to teach your brain that faces are important! But also, I would be amiss not to mention that I think there are some medications that could help with brain plasticity. I’ve personally experimented with nootropics (“smart drugs”), and would love to see some studies examining whether some of the racetams like piracetam, aniracetam, and also noopept, could help with this brain change. I also feel that some strains of cannabis help with visualization and with changing the brain, and now that marijuana is legal in some areas, this would also be a great opportunity for research. Note that I don’t think any medication alone could cure this condition, but medication + practice, maybe. At least I know that I can sometimes visualize people’s faces, and I used to never be able to do that. In the end though, for quality of life, getting the brain to recognize faces may not be as important as learning coping strategies. Paying attention to other clues — like getting really good at recognizing someone by their voice — is definitely a great coping strategy. Previous What matters the most to you?